At Cranebrook Tree Service & Mulch in Auburn, New York, we take care of any issue with your oaks and pines. 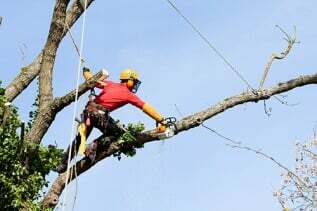 Whether you need us for a tree removal or tree trimming, we are here to help with jobs of any size. For your convenience, our services are available year around. We use bucket trucks, chippers, crane trucks, and other quality machinery. Due to the height and weight of limbs, removing trees can be a hazardous job if it is not done correctly. If your trees are interfering with power lines or another structure, we take care of it. Our team gets the job done right in a timely and efficient manner to remove your dead or diseased trees. Are your trees growing too large for your property? If your oak is ruining the perfect view from your home, call us to remove the problem. We completely clean up your mess and leave your property looking great. 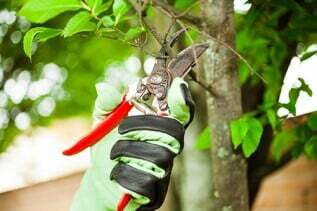 Remove dead branches, hazardous limbs, and other parts of your trees with our services. For the best results, we recommend you have your trees trimmed on a regular basis to keep them healthy. Our experts get your job done right. Once your tree is cut down, let us remove the leftover stump. We remove your stump below grade level so that you can plant flowers, sod, or shrubs with ease. Keep your residential or commercial space clear of unwanted brushes, trees, shrubs, and any other trash with our help. We perform a complete removal to keep your property looking great. Contact our team to speak to us about your stump grinding, tree trimming, and other services.